Constructors of the Fobos-Grunt probe have revealed details of the space mission to Mars, which is to break a 20-year absence of Russian spacecraft near the red planet. The mission involves the retrieval of a soil sample from one of Mars’ satellites. The launch is scheduled for November. It will take the 13.5-tonne spacecraft 11 months to reach the Martian orbit. It will then approach Phobos, one of Mars’ moons, after which the probe is named. The probe will land on Phobos, take a sample of its soil and return to Earth, chief constructor of the spacecraft Maksim Martynov told journalists on Thursday. “The way back will take between nine and 11 months, after which the return capsule will enter Earth’s atmosphere at a speed of 12 kilometers per second. The capsule has neither parachute nor radio communication and will break its speed thanks to its conical shape,” he explained. The soil sample will weigh some 100 to 200 grams and will be the first large sample of an extraterrestrial body to be brought back to Earth since 1976. Constructing the sampling equipment for the probe was a challenge in its own right, because scientists are not certain about the characteristics of the soil on Phobos, Martynov said. Developers decided to provide two different manipulators for the task and use the one, which will better suit the task. 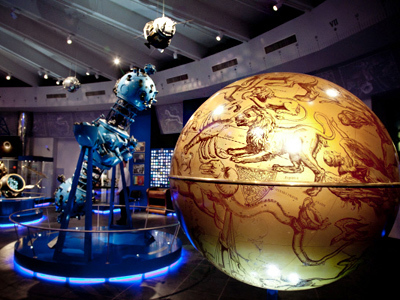 ­Fobos-Grunt will perform a number of observations during its mission and will gather evidence needed to verify some theories about Mars and the origins of its satellites, Professor Lev Zelyony from the Space Research Institute of the Russian Academy of Science said. “We will study the extraterrestrial matter, its isotope composition. Also the approach with Phobos lasts about six months, and during this phase we will study the atmosphere of Mars, including the presence of methane,” the professor said. The spacecraft will carry Chinese-made orbiter Yinghuo-1, which will detach from Fobos-Grunt and together with it will study ionosphere and magnetic field of the planet. “It will be the first time such research will be done by two spacecraft simultaneously. The research will help understand how the erosion of Mars’ atmosphere happens,” Zelyony said. International contribution to the projects also includes France. French scientists developed some of the probe’s instruments. ­After the return vehicle makes its way back from Phobos, the remaining part of the probe will be used as an automated station, which will continue research on the ground. Among the 20 instruments of the probe will be a sealed capsule with about a hundred strains of Earth bacteria. The microbes will travel all the way to Mars and back, the scientist said. Biologists want to see how many of them will survive the space trip. “The experiment is meant to confirm the theory that spores of living organisms may be transported by meteorites,” Zelyony said. The probe itself will be maliciously disinfected before the launch to avoid the risk of contaminating Phobos with Earth microbes. The risk was used as an argument against the space mission. 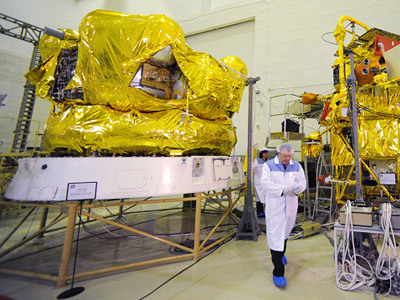 ­Development of the probe started back in 2001 and cost almost $160 billion, said Viktor Khartov, General Director of the Lavochkin NPO, the company which built Fobos-Grunt. “If you sum everything up, every Russian citizen paid almost 10 cents each year for 10 years. That is not much at all,” he assured. 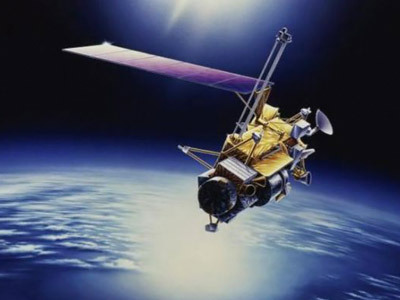 Professor Zelyony added that a project of a similar scale would have cost two to three times more if it had been done by the European Space Agency. “Such projects are not cheap. There are not luxuries there, only the things we really do need,” he said. According to Khartov, almost a thousand people have been involved in the project. More importantly, many of them are young people, who learned from their older colleagues as they worked. It helped the space firm close the experience gap of the 1990s, when many skilled engineers left the industry due to a lack of state funding. The chief engineer said that many of the probe’s parts are new designs that have never been tested in space, which poses certain risks. But the ambitious mission will hopefully pave the way to future discoveries. “We are on the verge of our country’s return to planets and stars. 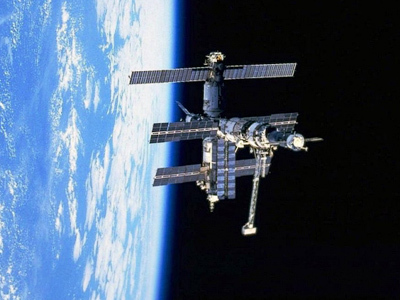 In 20 more years we have to learn to fly to outer space, for instance, to Mars,” Khartov said. Watch out for that satellite!